Cait is a midwife who lives on the coast of Scotland. She spends her free time walking on the beach, reading and of course, writing! 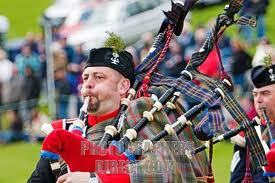 Kim: What does St. Andrew's Day means to you? Cait: To me St Andrews day is all about taking pride in your country and all the things we've achieved. All the things our ancestors fought and died for. We were a nation of poor, largely uneducated people yet we fought fiercely for what was ours. As cold and wet as it can sometimes be. 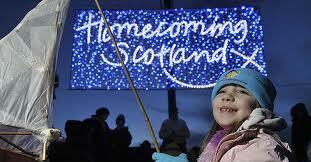 Even now, in present day Scotland there is a strong national pride and we are still fighting to be more independent. It hasn't been so very long since we won the right have our own government and the power to (mostly) run things our own way. 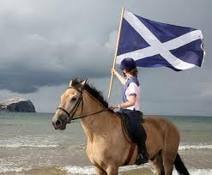 Scottish people should be using St Andrews day to throw a parade, get the pipers piping, wave our flag and shout to the world that we are proud to be Scottish. Kim: What is your favourite castle? Cait: It's so hard to choose a favourite castle, I have several but I think maybe Direlton, it has the most intense atmosphere and sits in a very picturesque little village. So unassuming and yet has such a history of witchcraft and intrigue. Kim: Who is your favourite clan? Cait: I suppose my favourite clan would have to be Murray since that is my father's side of the family but truthfully I have none. 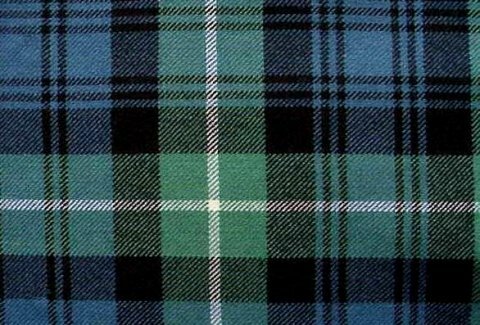 Kim: What is your favourite tartan? Cait: My favourite tartan again should be Murray but I do admit loving the Stewart tartan because red is my favourite colour. Kim: Do you drink Scottish ale or whisky? Cait: I hate beer and whiskey. I am a terrible Celt. Kim: I am just playing into cultural stereotypes. What is your favourite Scottish saying? Cait: Everyone knows my favourite saying, it was said by my granny Miller who is Scottish, therefore I am calling it a Scottish saying. "Cross your legs, not your fingers"
It makes me laugh every time I think of it, especially considering my day job and what I write. Kim: Yes, Granny Miller was a wise woman! Tell us about your Scottish books. 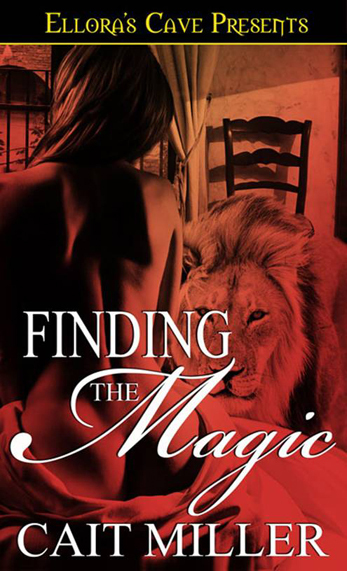 Cait: I have two sensual paranormal romances published with Ellora's Cave Publishing, Believe in the Magic and Finding the Magic. The stories feature feline shapeshifters and are set in Scotland. 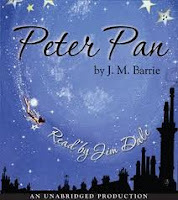 BELIEVE IN MAGIC: All her life artist Jayne Davis had believed in magic, but sometimes just believing isn’t enough. When first her mother and then her father died Jayne retreated from life, taking the first job she was offered and leaving her dreams behind. Nowadays the only place she looks for magic is in the books she reads. But all that is about to change when a man who might be more than he seems brings the magic to her. Cameron Murray believes in the magic too. He believes it ruins lives and he believes it has brought danger to Jayne’s doorstep. It’s up to him to keep her safe and make sure magic isn’t the end of them both…and guard his heart from the one woman who could take it from him. Jack Douglass has entered his mating cycle and he can no longer ignore his body’s physical and sexual demands. He needs a mate and he’s come to Scotland to claim her. It should have been simple. Now with their bond established and a killer targeting them, Jack has to keep both of them alive long enough to convince Megan that she is his. Time is running out and soon Jack could be lost forever. Wow! Those books are hot! They'll keep readers warm this coming winter! Tapadh leat (thank you) Cait for joining us on St. Andrew's Day! I am giving away one Hawaiian trivet each day. The trivet has a design from a Hawaiian Quilt - unique as each clan's tartan. 1. 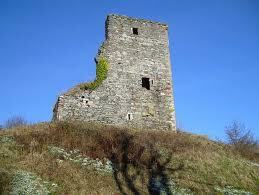 Leave a comment about Cait, Granny Miller, and castle ruins. 3. This giveaway is only open to US and Canadian residents. But if you live in Scotland, I will send you a special Hawaiian treat! Cait delivered an emotional reading in her Scottish accent. 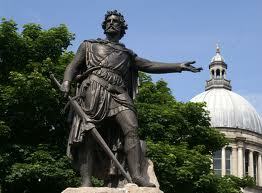 700 years after William Wallace died for Scotland's freedom, his legacy lives in the hearts of the Scots. Kim: What is your favorite clan? C.H. 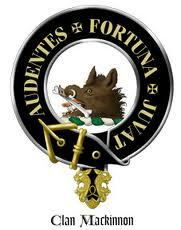 : Clan MacInnes – Clan of the hero in Book 3 of my Medieval Trilogy: SCOT'S MERCENARY, Winslow MacInness. It’s interesting to note that the MacInnes ancestors arrived from Ireland around c. 500 when Fergus Mor, King of the north Irish kingdom Dai Riata and his brothers Loarn and Oengus expanded their lands to southwestern Alba (Scotland). Oengus (Angus) believed to be the first of the Clan settled in Islay or Jura and is believed to be buried on Iona a small island in the Inner Hebrides. 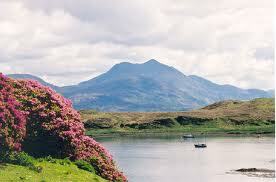 The Clan moved to Morvern Peninsula in southwest Lochaber on the West Coast of Scotland. Morvern is formerly known as Kinelvadon, where Kinlochlaine Castle is located at the head of Loch Aline situated for its coastal defense. 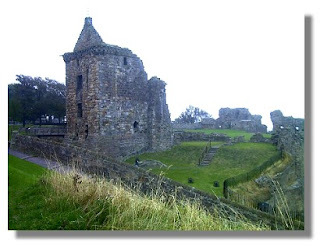 The castle was built in the 12th Century, burned in 1644 when besieged by Alasdair Mac Colla during the Wars of the Three Kingdoms, and in 1679 was attacked by Archibald Campbell, the 9th Earl of Argyll. 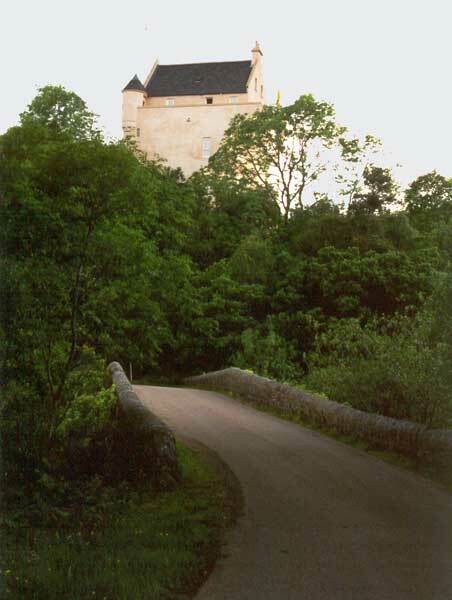 The castle was abandoned in 1690, and later re-constructed in the 1990s. Kinlochlaine is now a private residence. Here are a few websites where you can read more about the Clan MacInnes and Kinlochlaine Castle at the MacInnes website and Wikipedia. In the 16th Century, many of the Clan moved to Sleat on the Isle of Skye. Kim: You've done your research about the clan! And you answered my next question - waht is your favorite castle? C.H. 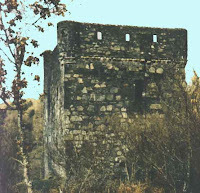 : Kinlochaline Castle, prior to restoration and after, in Morvern formerly known as Kinelvadon. Kim: What is your favorite Scottish Saying? C.H. : Tha gaol agam ort. Pronunciation: (Hah GEUL AH-kum orsht). Kim: I shall practise that phrase on my hubby, who claims to be from the Clan Lindsay. What is your favorite whisky? C.H. : Although my true favorite is Irish – Tullemore Dew, I chose one distilled on the Jura where the MacInnes Clan originally settled once they arrived from Ireland. 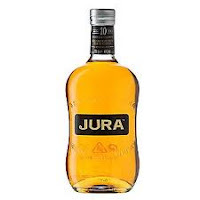 Isle of Jura Single Malt Whisky. Kim: As you pointed out, the Scots spell "whisky" without the "e"; the Irish spell it with the "e". 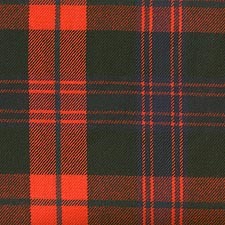 What is your favorite tartan? Tapadh leat (thank you) C.H. for sharing your passion for history with us! To learn more about C.H., log onto her website. I'll invite C.H.back when we celebrate St. Patrick's Day so she can share her Irish roots and books! Scot's mercenary, Winslow MacInness, rescues a Norman beauty, but how can he help her find her way home if she cannot speak? While waiting for her to recover, MacInness discovers a woman he can love, one who can replace the woman he can never have, his overlord's wife. But marriage to Genvieve isn't part of his plan until he discovers her life is still in danger and the only way to protect her is to marry her. But will he survive the attempts on his life? Is Genvieve de Chauret behind those attempts? 1. 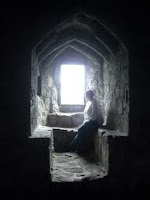 Leave a comment about C.H., renovated castles, and/or Scotch whisky. 3. This giveaway is only open to US and Canadian residents. Is obair-là tòiseachadh, ach is obair beatha crìochnachadh. Beginning is a day's work, but finishing is the work of a lifetime. 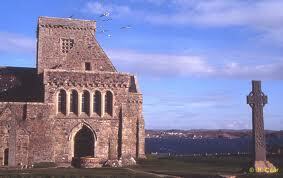 The abbey was founded by St Columba and his Irish followers in AD 563. As a celebrated focus for Christian pilgrimage, Iona retains its spiritual atmosphere and remains an enduring symbol of worship. (the site includes) Reilig Odhráin – the little cemetery beside Sràid nam Marbh, ‘the street of the dead’, where many ancient Scottish kings were laid to rest. Historic Scotland also cares for the Dunfermline Palace in Fife. This crumbling site is next to the restored Dunfermline Abbey. The Abbey, whose foundation goes back to 1072, was built by King David I of Scotland in honour of his mother the saintly Queen Margaret. 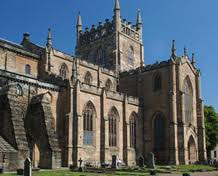 Once this abbey was built, the Scottish kings chose it as their final resting place, including Robert the Bruce. In 1818, the Great Tower collapsed. As it was rebuilt, the interior was also renovated. Robert the Bruce's tomb was relocated to the new nave in front of the pulpit. In 1891, Lord Elgin - Chief of the Bruce family - donated a brass plaque to recognize the Bruce's final resting place. 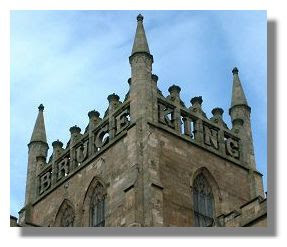 A﻿﻿s the Great Tower was rebuilt, it was decorated with the words 'King Robert The Bruce' (one word per side of the square). 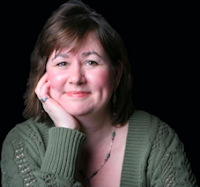 Please join me in welcoming paranormal author Tara Nina. Tara visited us during the TRWP spotlight. Tara is surrounded by three generations of military heroes - her Air Force father, her Navy husband, and Navy son. Let's learn more about her Scottish heroes. Kim: Why do you write about Scotland? Tara: I love Scotland. I’ve always dreamt of visiting the castles and doing a pub-crawl there (and through Ireland as well). 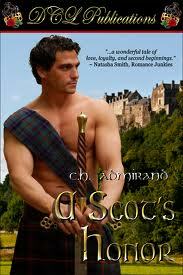 I fell in love with the term Scottish Laird long ago and never shook it. Tara: The fictional Castle MacKinnon. It comes complete with an overprotective ghost named Akira, who is the sister of the seven MacKinnon brothers, who were imprisoned by the Curse of the Gargoyle in 1740 Scotland. Tara: The one I created the MacKinnons. 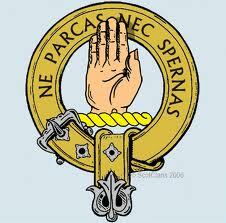 I know there is a Clan MacKinnon, but mine are fiction based and frozen in stone by a curse, thus their blood line no longer exist in today’s time. 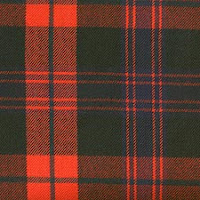 Readers can join Tara's Clan MacKinnon and receive a swatch of its tartan from her website. “No one in Scotland can escape from the past. It is everywhere, haunting like a ghost." Kim: Tell us about your books set in Scotland. 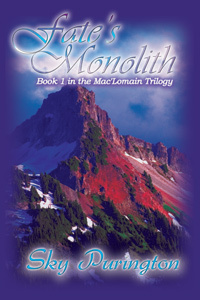 Tara: I am writing a series for Ellora’s Cave Publishing. It is about seven brothers who are turned to stone in 1740 Scotland by the Curse of the Gargoyle. These books are set in today’s time where the women they were destined to be with set the brothers free. The first book of the series is called CURSE OF THE GARGOYLE. Ericka who is a woman who doesn’t believe in paranormal events sets the oldest brother Gavin MacKinnon free of the curse. After speaking the anti-curse, her world takes on a whole new direction…teach a 200-year-old Scotsman how to survive in this century. The second book of the series is called EYES OF STONE. A fiery-spirited woman named Izzy sets the second brother, Ian, free. Together they must overcome the deadly evil that still pursues the MacKinnon clan and learn to trust and love each other if they are to survive. With luck and avid fan support, the rest of these brothers will be set free in future books at Ellora’s Cave. 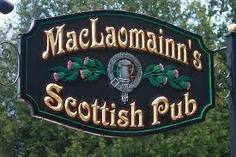 Kim: Readers, we have our challenge to break out the rest of the MacKinnon brothers! Tapadh leat (thank you) Tara for helping us make our celebration a wee bit wild! I will give away a Hawaiian trivet each day in the design of a quilt square (as unique as a clan's tartan). Each day will be a different design. BREAKING NEWS: Tara is offering an autographed copy of each book - CURSE OF THE GARGOYLE and EYES OF STONE. 1. Leave a comment about Tara, seven Highland brothers, wild geese and tame eggs. 3. This giveaway is open to US and Canadian residents. Is ann a tha 'n càirdeas mar a chumar e.
Friendship is as it's kept. The real Clan MacKinnon lived on the Isles of Mull and Skye next to the MacLeans and MacDonalds. They frequently changed from ally to enemy to ally with their neighbors. 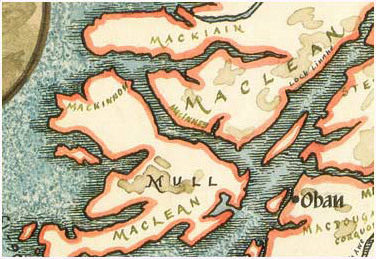 The MacKinnons supported the Jacobite Rebellion and aided Bonnie Prince Charlie in his escape from Scotland. 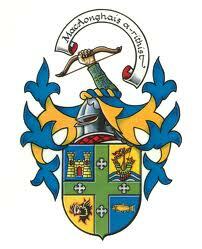 The MacKinnons claim to be descendants of King Alpin. Their name also translates into Love. In 1851, Scottish immigrant Robert Love established Love's Biscuit and Bred Company here in Hawaii. Today it is known as Love's Bakery - the largest wholesale distributor of break, pies, and cakes. The military commissaries sell Love's products on its shelves. We'll learn about other famous Scots in Hawaii throughout the week! Please join me in welcoming Sky Purington back to SOS Aloha. We first met Sky on October 29 during the TWRP spotlight. Thanks so much for having me back to visit SOS Aloha during St. Andrew’s week, Kim! As a writer with a heart that often revolves around Scotland it’s a pleasure to be here to celebrate Cill Rìmhinn (St. Andrew). While the actual celebration is tomorrow, the 30th, I’m proud to be part of this. Mind you, my Scottish works are a rich blend of the religions that made up the medieval period. 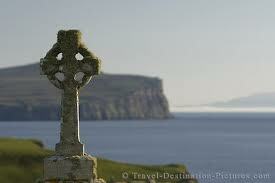 A time when Christianity and Paganism battled it out, when the Celts had a firm and long lasting influence on the land. It was, without doubt, a turbulent time. Wow! It blew my mind as I continued researching. The Viking & Norse connection, the ‘most powerful clan in Scotland’ connection, aye, they all made my eyes bulge. And every little new fact uncovered had me zooming to local libraries, scouring the net, interviewing everyone I knew that was Scottish. All said, I definitely settled down into a solid pattern of good research. Took me three months by the way! But well worth it. 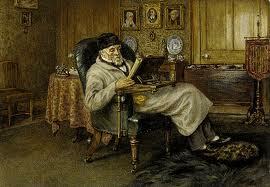 In the end, I arrived at a place in which I was able to sit down and pen a trilogy. While I won’t be talking overly about the trilogy itself this visit, I will be touching on parts of it through the remaining questions Kim provided me when she asked me to appear at SOS. If I were to list a favorite castle of course it would be the one in my trilogy. This beauty, full of spires, turrets and wall walks is surrounded by two moats and curtain walls and perches at the tip of the Cowal Peninsula. It is purely fictional. However, I’m thinking Kim would like to know what my favorite castle that stands to this day is. 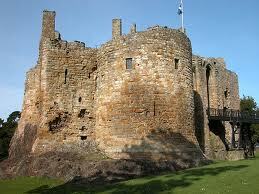 Not to sound cliché but I believe St. Andrew’s Castle, Fife, is a good example of a structure that has withstood time. In fact, it changed hands many times during the War of Independence when Robert the Bruce strived to free Scotland from King Edward 1st of England. Let me just tell you, if I could rave on and on about ‘the Bruce’, I would. While William Wallace did wonderful things, highly recognized in the movie ‘Braveheart,’ what Bruce did for his country…well, it’s what can’t-put-this-down-until-I-read-the-last-page good novels are made of. 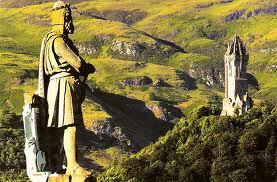 He was very much a true hero to the country of Scotland. Time to step off the ‘serious’ platform. On to the fun stuff! Kim would like to know what my favorite Scottish drink is. Well, bit of a loaded question. My Scotsmen characters love their whiskey. (Medieval brand…can you imagine?) but we won’t tell them how nasty it must taste compared to our smooth blends now. As for me personally? I prefer a good ale. Thank you so much, Kim for allowing me to swing in and chat up a Scottish storm! I hope I haven’t rambled on too much. St. Andrew’s is a wonderful week of celebration. That you celebrated it here at your blog is beyond fantastic. For those of you interested in learning more about my Scottish trilogy feel free to pop over to my website, http://www.skypurington.com/. Tapadh leat (thank you) Sky for sharing your Scottish research! I will give away a Hawaiian trivet each day in the design of a quilt square (as unique as a clan's tartan). Each day will be a different design. 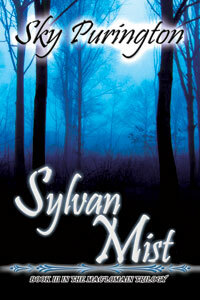 Breaking News: Sky is giving away an autographed copy of SYLVAN MIST. 1. Leave a comment about Sky, Clan Lamont, and St. Andrew's Castle. 3. This giveaway is open to US and Canadian residents. Trivets will be sent by priority mail so winners will receive then in time for holiday dining. Only one trivet per reader. Dh'aithnichinn air do sheirc do thabhartas. 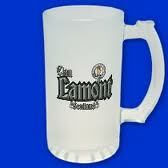 The Clan Lamont also feuded with Clan Cambbell. The Clan Lamont Society website provides specific details of the conflict. The Lamonts supported the MacDonalds against the Campbells and paid the ultimate price. In 1646, the Campbells massacred the Lamonts at Dunoon. 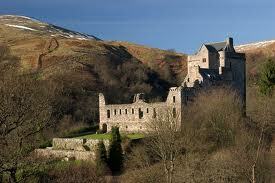 Each clan resided in Argyl - the Lamonts in Toward Castle and the Campbells in Castle Campbell. 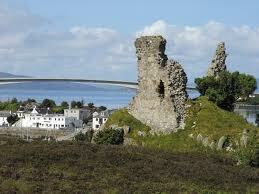 Both castles are now in ruin. 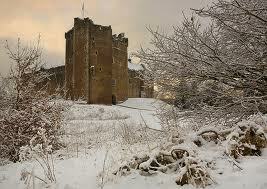 In 1654, other clans burned Castle Campbell when the clan chief, the Earl of Argyl, supported Cromwell. Eight years later, the earl was executed for treason when King Charles II claimed the throne. Hollywood in Hawaii ... and book giveaway!